One of London's Top 20 Comedy Clubs (Time Out). Best comedy club in Camden (Yelp). Hosted by Edinburgh award-winning comedian Yianni Agisilaou. 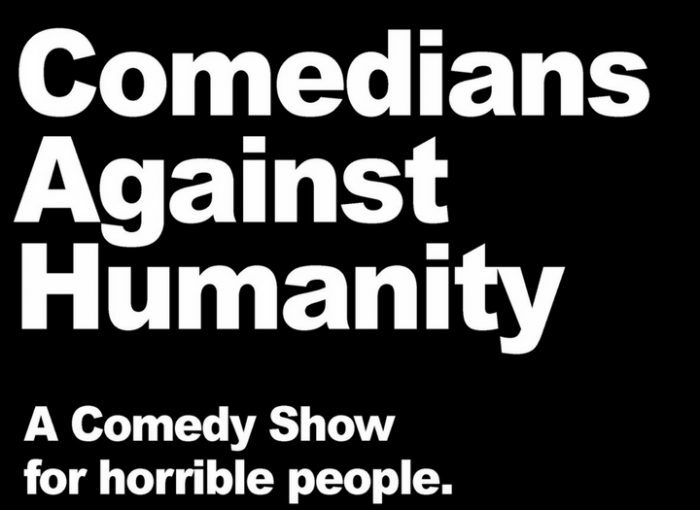 Audiences wielding cards from the smash hit game ‘Cards Against Humanity’ challenge guest comedians to create material on the spot.Comedians Against Humanity guarantees to make you laugh hard in spite of yourself!